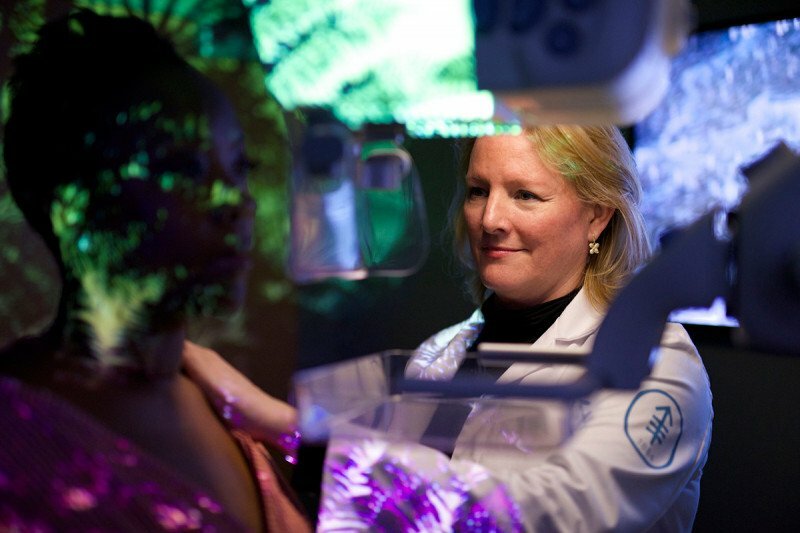 Elizabeth Morris, Chief of MSK’s Breast Imaging Service, performs a mammogram on a patient. MSK Direct members have easy access to MSK Diagnostics. MSK Direct creates a relationship between Memorial Sloan Kettering (MSK) and its employer partners, ensuring simplified, guided access to the benefits of cancer treatment at MSK for partner employees and their family members. As do all our patients, MSK Direct members will receive the most advanced cancer care from an experienced and compassionate team of cancer specialists as well as the practical and emotional support they need. Well-known for our hospital location on the Upper East Side of Manhattan, we also have a number of state-of-the-art outpatient facilities conveniently located in Manhattan, Brooklyn, Long Island, Westchester, and New Jersey where patients can receive the same world-class cancer care closer to home. What benefits does membership in MSK Direct provide to employees? MSK Direct is staffed by a full-time team of dedicated Care Advisors. With MSK Direct, employees and their families will have direct access to a team of dedicated professionals who specialize in cancer. The team includes experienced nurses, social workers, and MSK Care Advisors who will be there to guide them through the process of getting care at MSK and oversee their experience every step of the way. In addition, members will have access to MSK Diagnostics if they receive results from a blood test, imaging exam, or pathology report that may indicate cancer, with the option to begin treatment immediately if the diagnosis is cancer. Members can also contact the team to arrange for a second opinion if a diagnosis has been made elsewhere. What are the requirements of employers? If you would like to learn more about how MSK Direct might benefit your employees, or have any questions on the program, you can email mskdirectinfo@mskcc.org, and a member of our staff will respond promptly to your inquiry.